Can You Use a 529 Plan for College Student Loans? 529 Plans, also called Qualified Tuition Programs, are special investment accounts used to help individuals save for college. The plans are overseen by the state rather than the federal government. Every state has at least one plan. 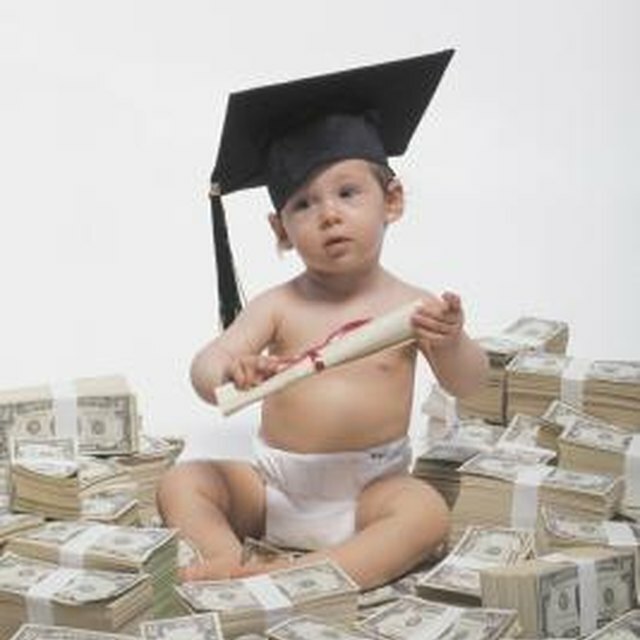 Anyone is eligible to participate in a 529 plan regardless of income. When the plan is created, you name the beneficiary of the account. This is the person who will be using the money for educational expenses. This person can be changed at any time by the owner of the account. The owner maintains control of the account for the purpose of determining assets for the expected family contribution for college expenses. Each year, you can contribute up to $13,000 per person for each beneficiary you have without having to pay a federal gift tax. Married couples can contribute a total of $26,000 per person. You can contribute up to a total of $335,000 per account. The value of the account may rise above this amount because of increases in the investments but once this amount is reached or surpassed you can no longer contribute to it. Once in the 529 account, the contributions grow tax free. When the money is withdrawn for qualified educational expenses, the contributions and any earnings are not taxed at the federal level. Most states do not tax withdrawals for qualified contributions either. However, you may not deduct contributions made to your 529 Plan on your federal taxes in the year you make it. Qualified educational expenses depend on whether the student is attending college part time or half time or more. For all students, tuition and mandatory fees, supplies and equipment count as qualified educational expenses. For students attending at least half time, the room and board expenses can also be deducted. Room and board expenses cannot be more than the estimated costs reported by the college in its expected cost of attendance. If the money is withdrawn for expenses other than qualified educational costs, there is an additional 10 percent tax on the earnings in addition to any other taxes owed. This additional tax is waived if the beneficiary dies or is permanently disabled, receives a scholarships or other tax free gifts to cover the educational expenses.